During my two Days Off (18th and 19th July) my Friend Matze Blaul came all the Way from the Robinson Club Soma Bay to support my during my Record Attempt. On the 19th we drove to Dahab and enjoyed Breakfast there. Afterwards we rented Motorbikes and made our Way to the Blue Hole and enjoyed some Freediving there. We made the Trip from the Bells. In the evening we made our Way back to Sharm el Sheikh with the Motorbike. After 30km the engine stopped and we were stuck in the middle of the Sinai Mountains. After some waiting, waiting…then talking with the police and the owner of the bike he send someone with spare parts and a other bike. In total we waited just like two hours in the Desert. If it would´nt been the last day before the record attempt it would have been more funny. Back in Sharm we were quite tired and I went to bed very early to bed relaxed for the record attempt on the next day. During my Last Training on the 17th July I was very focused. 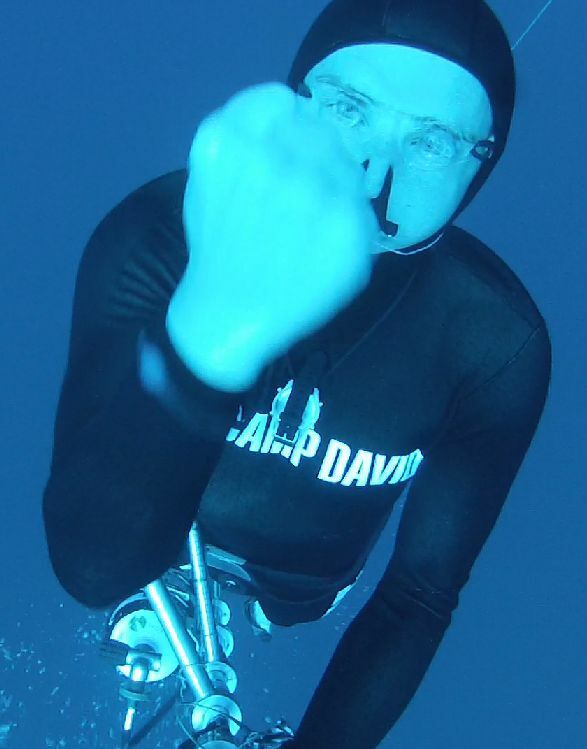 This Training was very important to me because I needed to know that I´m confident enough to go on my target depth for the record attempt. Again warum up was good and I did hangs with a dive time of 3:44 min. I was a bit afraid my ears would not work with me but they were fine during the first two sled dives. Then I went down for the 110m. Position, Relaxation and Equalisation all were good. Down at 110m I enjoyed the look at the bottom for a few seconds and then I inflated the ballon. The Last Training went Perfect! And I have two days off before the record attempt. 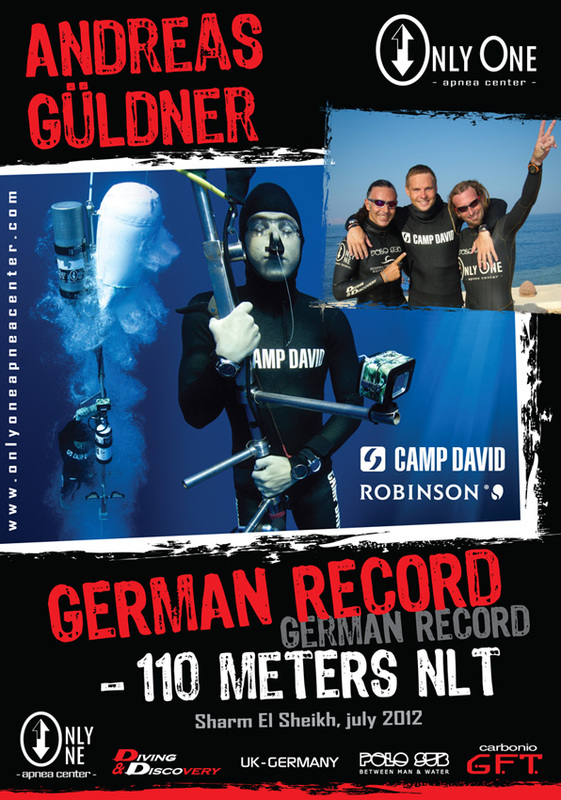 Tomorow Matze from Robinson Club will arrive to support me on the attempt. On the 14th July I felt very good and strong. During the day must of the Time I relaxed and then I went to Training. The warm up dives and the the preparation dives with 60m and 80m felt very good. Then I aimed for around 116m. The dive itself felt very good and the equalisation went good aswell. Down at the bottom I took a look at the bottom below me. The ride back to the surface was quite fast. 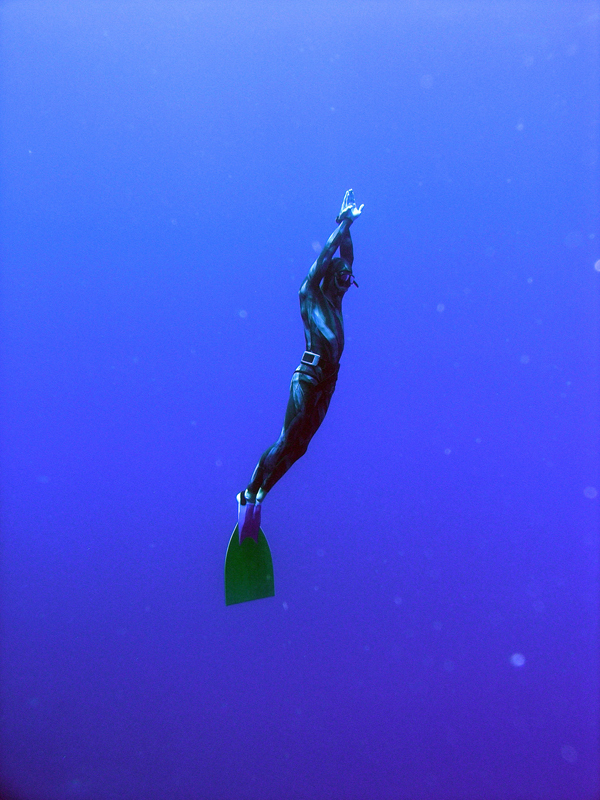 Now after each Dive I focus on the surface protocol towards the Judge. Yesterday (13th July) when I went into the water for Training I thought well, let´s do it anyways. My ears were not 100% clear but equalisation was okay I would say. During my warm up dives on the line I did some 3 Minute Dives and they felt relaxing. On the other rope William Winram just finished his Training and we had a small chat. As usual the sled diving started with 60m then 80m. On the first 80m I did a mistake with my mouthfill. Well I managed to do the 80m but the equalisation way was crap.So I did the 80m Dive again and all worked fine. Then there was the Time for my new Target Depth. I went on the sled, put on my lanyard…the googles…the noseclip. Marco started the 2 min. countdown and I started my breath up. 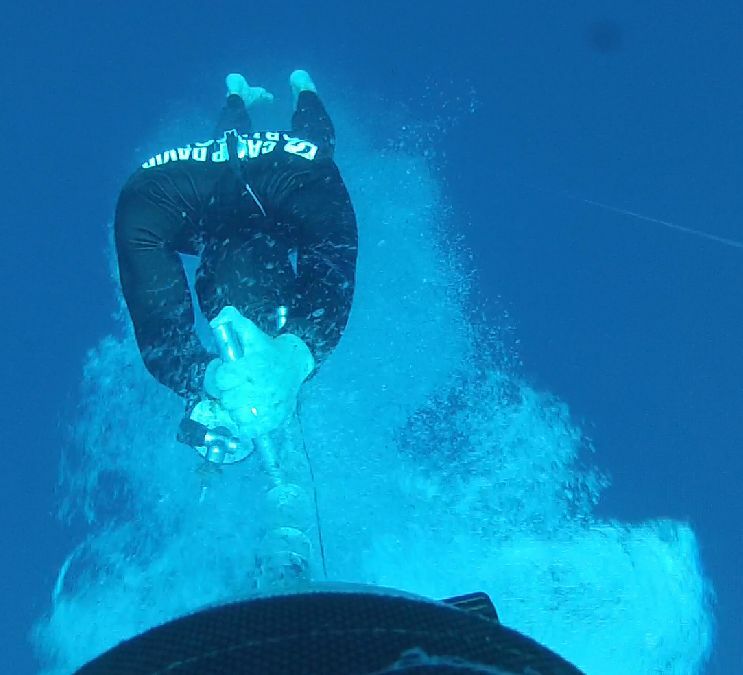 After my last breath I gave Marco the signal the release the sled and I went into the BIG Blue Abyss. In 20m my computer gave me the signal for charging the mouthfill. 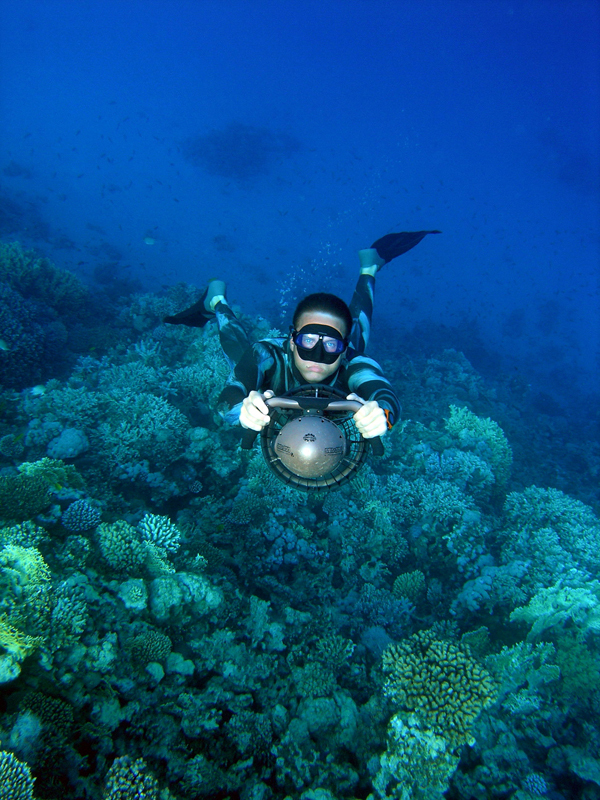 I really enjoyed the ride and Moments after I was at a Depth of 111m. I opend my eyes and it was dark…dark Blue. I gave a OK signal in the camera and opend the valve so my ballon was getting inflated. The Visibility was good and I saw the bottom of the ocean for some precious moments. In 20m I realesed the sled and went on my own to the surface. I was sooo happy. Then I grabed the oxygen and did a couple of minutes decompression just for safety reasons. I was wondering where my girl was? She saw a shark and went back to shore and waited there for me :-) Later she identifyed it as a nice little whale shark about 5m Big.Now she knows that this kind of shark eats just plankton. On the 12th July my coaches put me on a day off. Well, after three days of deep diving they are right. But I´m not very good in having days off. The most of the day we spend in the hotel laying in the sun close to the beach or in our room watching movies. I must say it was very relaxing and I got some energy back. 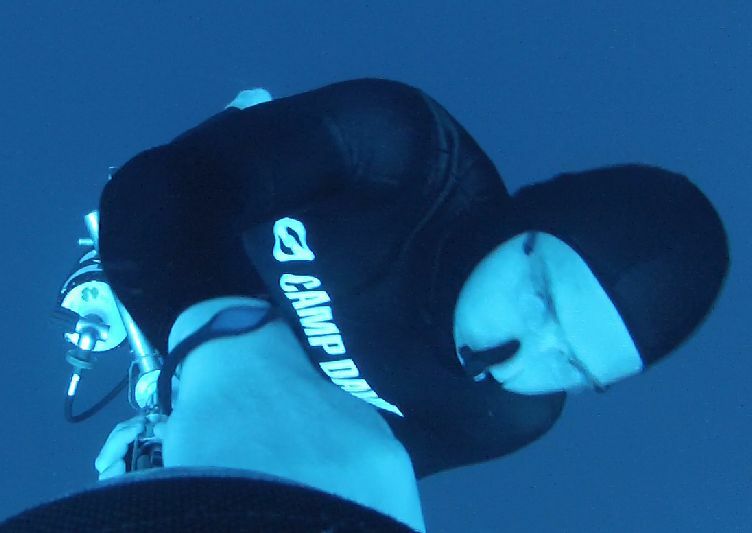 The Training Plan for the 11th was to make the proof that I´m able to do 100m Depth three Times in a row before we are moving on with another Target Depth. The warm up dives were good , as usual and then we did 60m than 80m and finaly the 102m Depth. 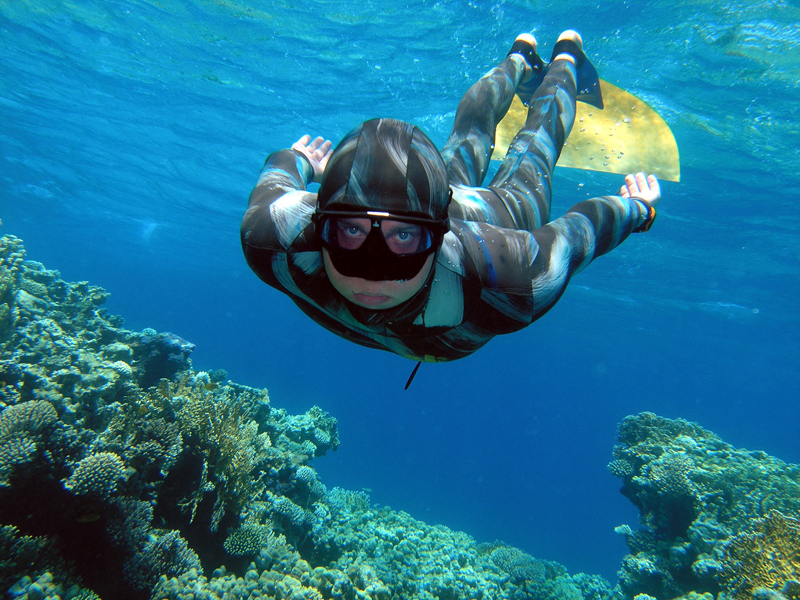 That Dives is another Personal Best for me and I was very happy. On the 10th July around 13:00 I picked up my girl from the airport. Finally she is here and supports me during my training. I really missed her! Today my coaches decided to work on my equalisation skills insteed of going for another deep dive. We did one 60m Dive and two 80m with the mouthfill charge in 10m Depth. 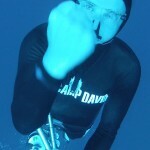 All Dives felt good but on my first 80m I didn´t heared the alarm so I guess the charge was done deeper than 10m Depth. 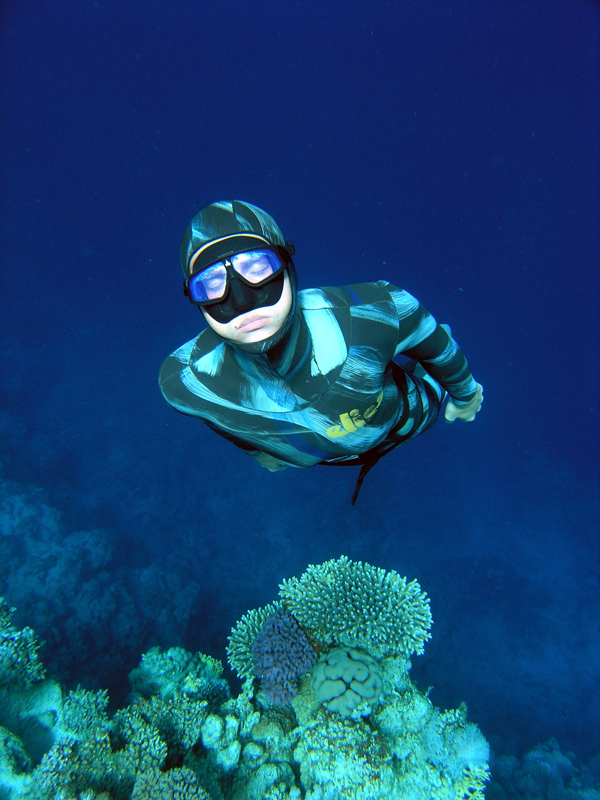 It is so strange…down at 100m I have less air even thouh I charged my mouth around 25m Depth. And in 80m Depth I have air left and I charged it in only 10m Depth. 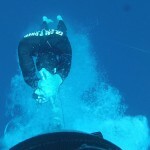 During my saftey deco at 6m with 100% my girl showed me two big barracudas.